It's the jolly season of the year again and we're all pretty excited for the new year and of course, the holiday that comes before – Christmas! If you're racking your brains for that perfect gift for your friends or loved ones, read on as I've curated this gift guide specially for monochromatic gifts that caters to almost anyone and everyone! I personally can't live without a watch and I'm sure many others can't too! A classic leather watch with an analog watch face never goes wrong and makes for a perfect Christmas gift to your loved one. The watches from Daniel Wellington features a minimalistic watch face and goes well with practically any outfits. This jolly season brings us two of our favorite holidays — Christmas and New Year. As the new year draws near, 2016 planners are a great gift option especially for your obsessed-with-stationery friends. 'This Is Your Year' is printed on the 2016 planner from The Paper Bunny - perfect for your friends who need that extra push of motivation. 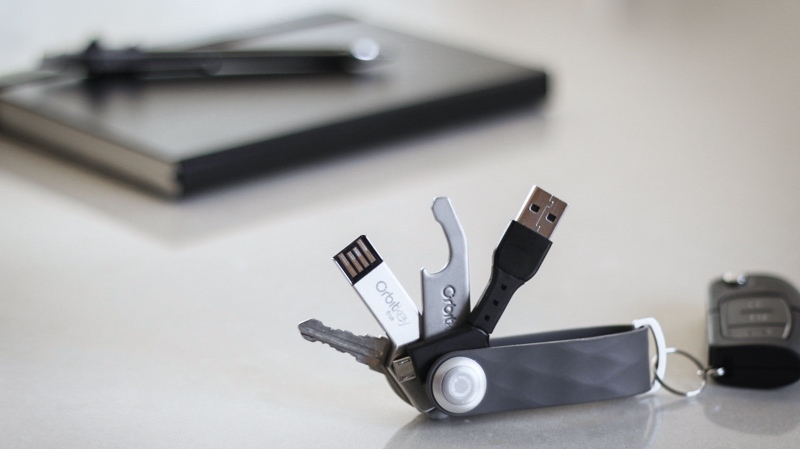 Being someone who enjoys having my belongings kept neat and organized, I have grown to love Orbitkey a LOT. I personally think that it's one of the most practical gifts out there in the market – one that is not gimmicky and indeed helps in organizing your keys, keeping them in place. Cheers to having no rattling keys that scratches other belongings! P/S: This gift would be perfect for your OCD friends! Available in both black marble and white marble options, the marble iPhone cases from MadeByFabrix are guaranteed to melt the hearts of marble-print lovers (me included). Priced at 22USD, these iPhone cases are practical and affordable gifts for your friends! Trust me, accessories can make or break your outfit. When searching for accessories to match my outfits, I tend to gravitate towards more minimalistic options so as to ensure the colors don't clash, and that the accessories would match with any outfits easily. Recently, I’ve curated a small collection of minimalistic accessories over at my Gumtree profile and you can check it out if you are on the search for minimalistic bracelets, earrings or necklaces. Personally, I think they make perfect Christmas stocking fillers! Well, not exactly monochromatic but the iconic NARS product packaging is to-die-for! 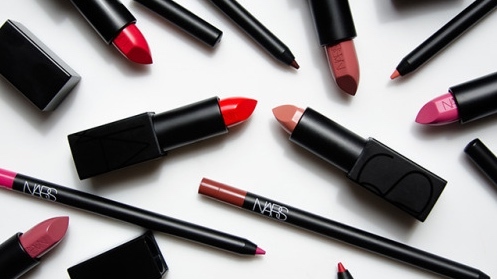 Recently, I've found myself loving the lipsticks from NARS, especially from the 'Audacious' collection. The colors of the audacious lipsticks are pigmented, yet the lipstick texture is moisturizing and ensures that your lips don't dry up. Let's not forget that red lips are also perfect for Christmas and New Year! One of the up and coming labels in Singapore, AngstChild is particularly popular with all the artsy-fartsy kids (including me). The self-manufactured pieces come in limited quantities and since gaining worldwide recognition, AngstChild products have been snagged up pretty quickly each time a new design launches. Your rad friends are guaranteed love this rad store. Fastest fingers first!